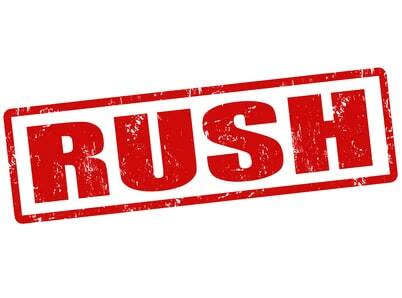 Cal Interpreting & Translations offers rush service on all interpretation services at no added cost. The need to reserve a qualified interpreter may arise on very short notice. Given that time is of the essence in all last minute scheduling, it is imperative that the first company you contact is the most capable of covering your assignment. Cal Interpreting & Translations implements cutting-edge software that enables us to communicate with all of the interpreters that cover any given location within mere minutes. We are able to pinpoint all of our available interpreters with the proper qualifications while taking into account real time traffic and distance. Moreover, unlike most interpreting agencies that charge an extra fee for covering your rush assignment, we do not charge a rush fee as means of developing a working relationship with our clients.